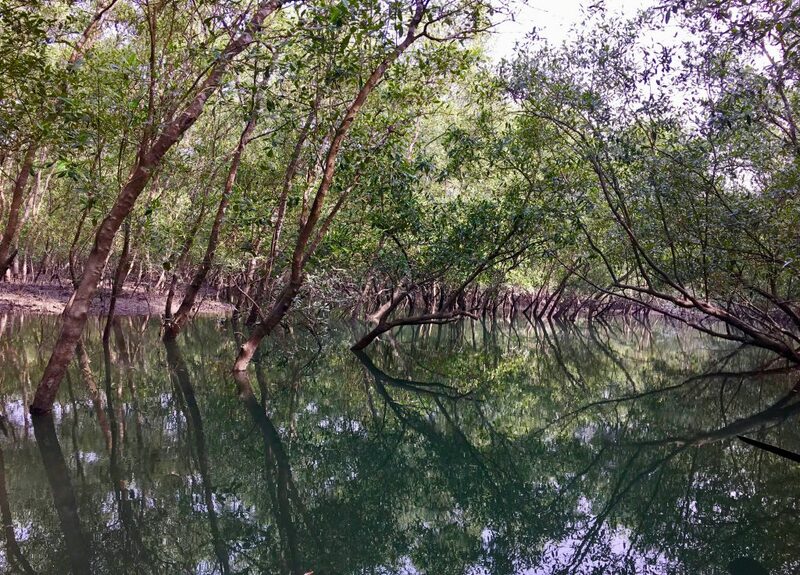 Home to India’s and the world’s largest mangrove forest, the Royal Bengal Tiger, crocodiles and hundreds of species of birds, Sundarbans National Park lies on the delta of the Ganges. It is made up of a spider web of tidal waterways and islands of unending roots. Here, there is an ongoing battle for survival between man and nature. Recently, we had the opportunity to take a Sundarbans National Park tour, and we cannot stop talking about it! Your Sundarbans National Park tour will start in Kolkata, West Bengal, India. 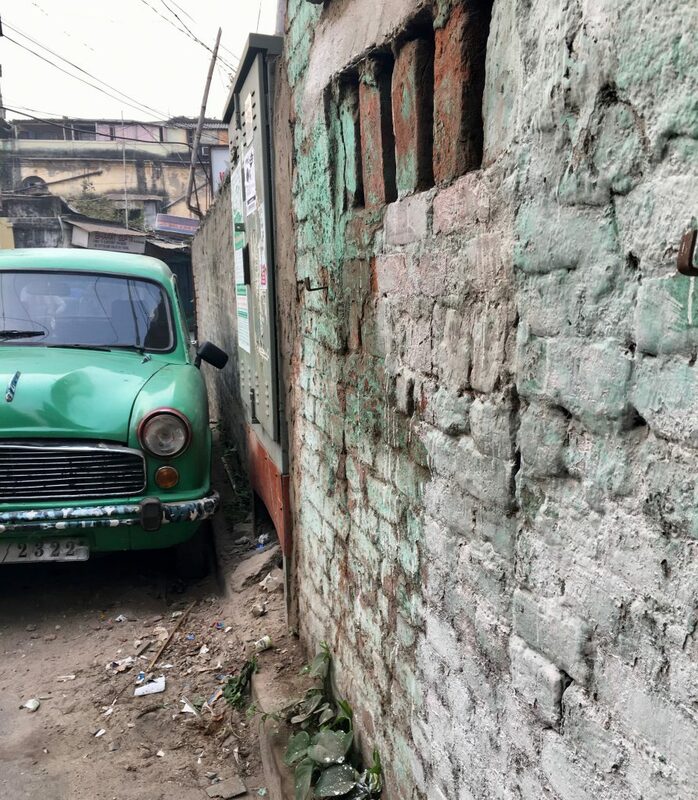 While in Kolkata, we recommend having a wander through the streets. You’ve got to taste the delicious street food, and visit Mother Theresa’s Mother House. If you have time, take a stroll through Kolkata’s largest urban park, Maidan, a.k.a the Brigade Parade Ground. After experiencing Kolkata, you will undoubtedly be longing for some time in nature. Yep! 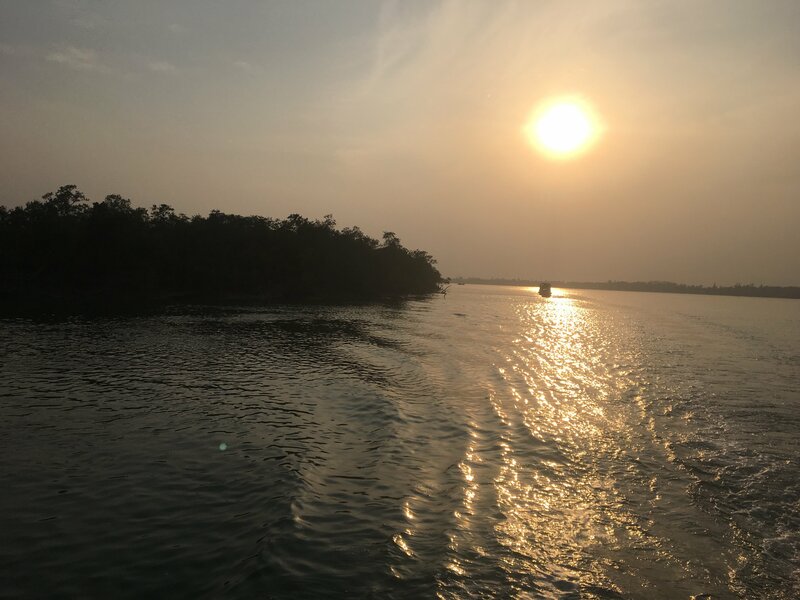 It’s time to head out to the Sundarbans! To do this, we highly recommend contacting Tour De Sundarbans to arrange a 3 day, 2 night Sundarban National Park tour. One jeep, one rickshaw, and one boat ride later, and you’ll find yourself on the shores of their backpackers ecovillage on Satjella Island. It takes about five and a half hours to get here, but it is beyond worth it! Upon arriving at Satjella Island, you can take a stroll through the neighboring villages. There you’ll see people herding goats and cows, tending to crops, patting out cow pies to dry in the hot sun, and sharing a smile with their neighbors. 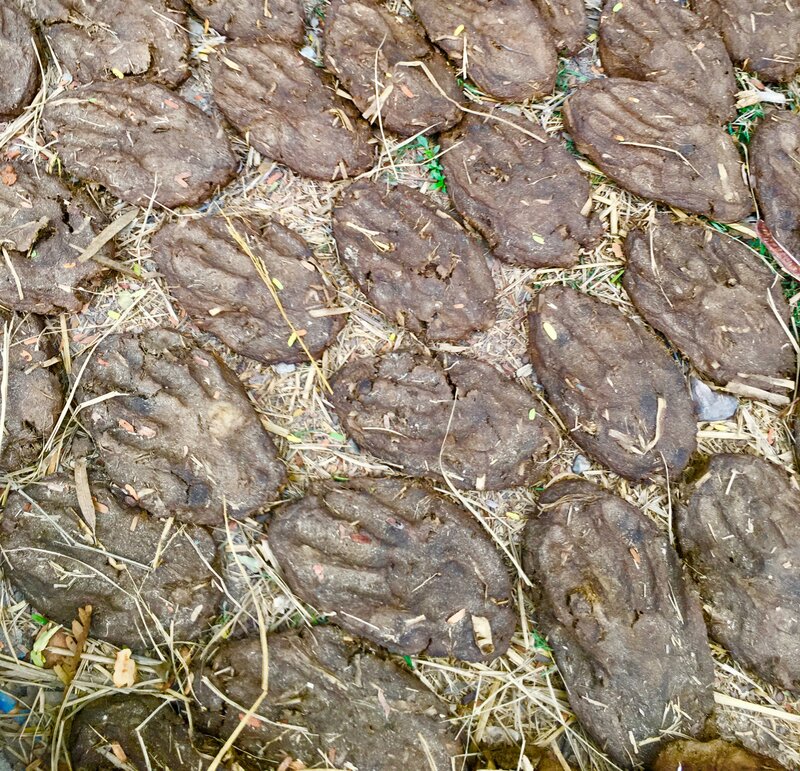 Dried cow patties are used in place of wood! The trees are saved and the people get their fires! Life in the Sundarbans however, is becoming increasingly grueling for the locals. Primely, this is because of rising sea levels due to global warming. 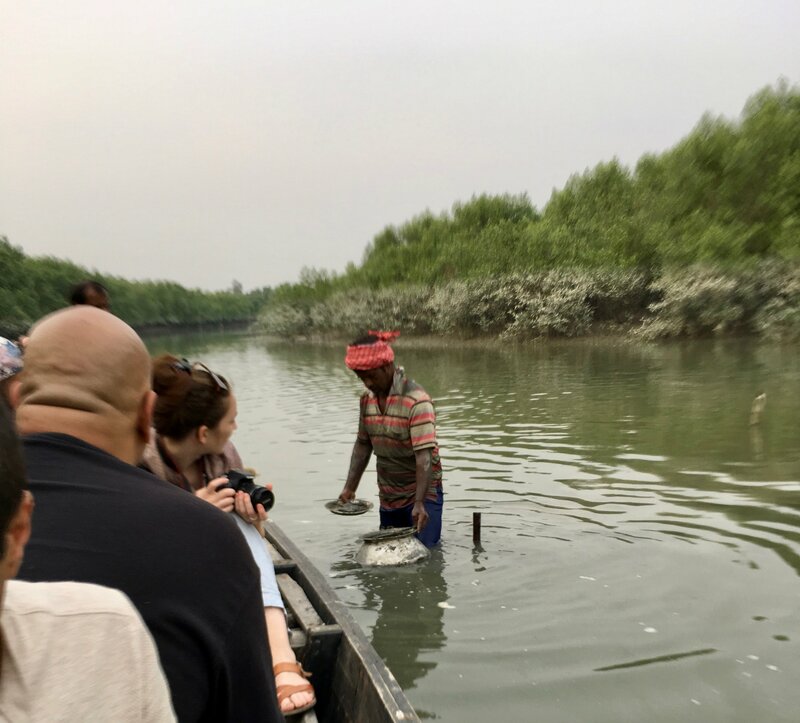 Many of the Tour De Sundarbans’ guides worry that within their lifetimes, taking a Sundarbans National Park tour might not be an option. They fear that all of the mangroves may soon be submerged underwater. 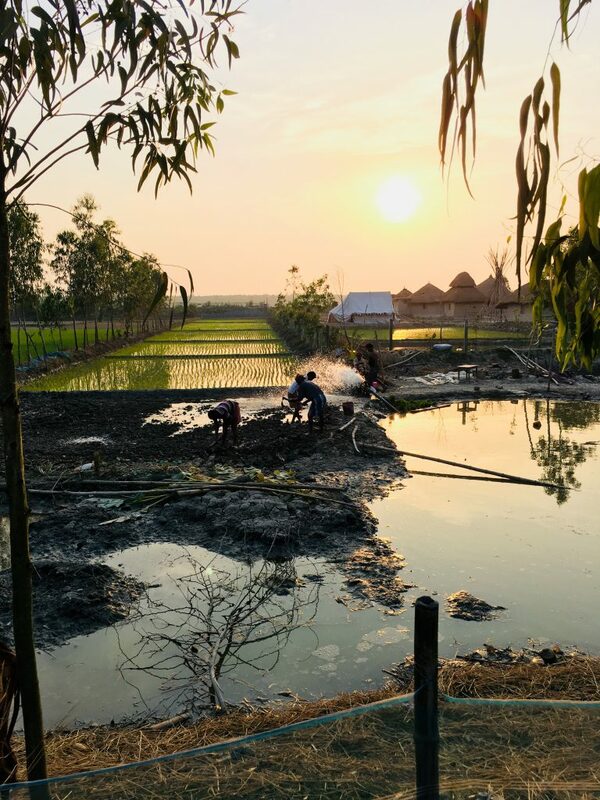 Due to the rising sea levels, villagers are also having more difficulty farming. Thus, increasingly they are seeking alternative income sources. 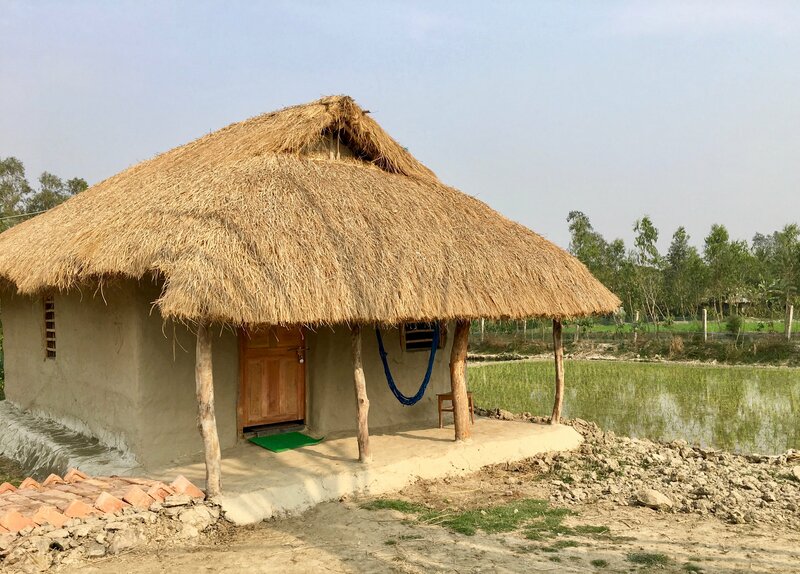 This has led many of them to head farther out into the tiger reserve to fish, hunt crabs, collect honey, and cultivate new farm land. As a result, humans and tigers are getting closer and closer to each other, and this increased interaction causes negative consequences for humans and tigers alike. 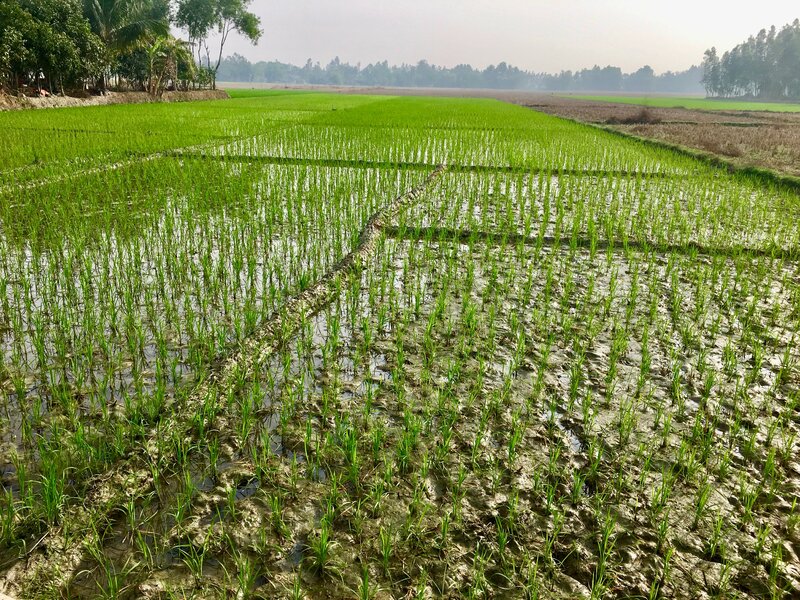 To address this issue, Tour De Sundarbans hires local people to tend to its own kitchen gardens and rice paddies. 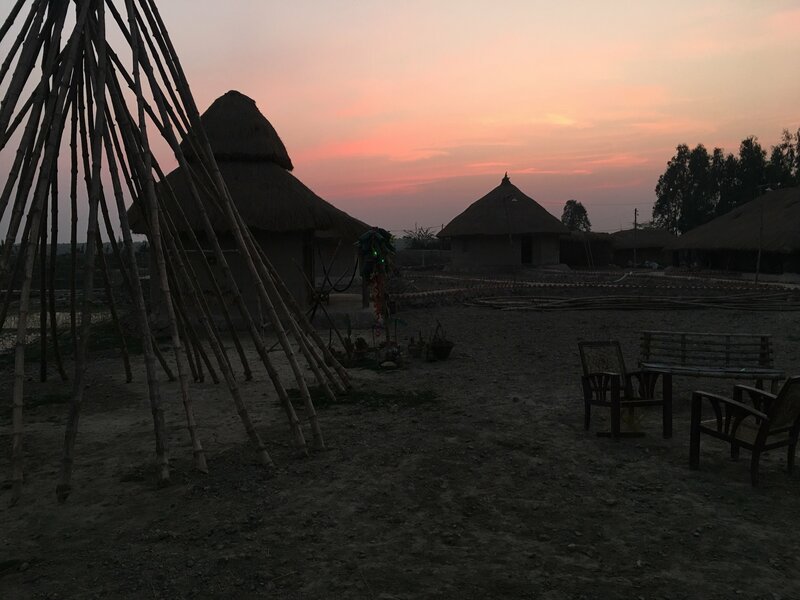 They also hire locals to do the cooking, cleaning, maintenance, and entertaining (performing traditional songs/instrumental pieces and dances) for guests at the ecovillage. 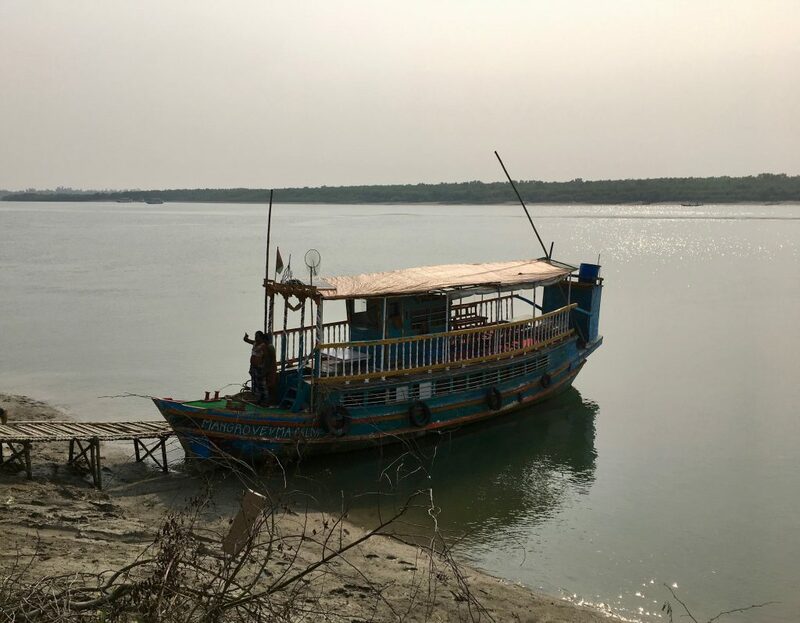 By working at Tour De Sundarbans, local villagers can supplement their income while preserving their local cultural practices and the Sundarbans’ natural environment. After your village trek and just before sunset, you will enjoy a rowboat ride into the narrow waterways of the mangrove forests. The aim is to spot birds ranging from the Grey-headed fishing eagle to the black-capped Kingfisher. You may even see a few villagers crabbing. 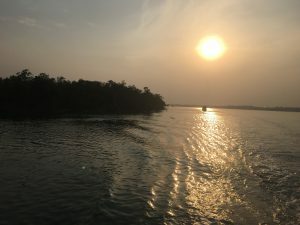 The most magical part of this boat ride however, and the part that’s not often talked about when people share about their Sundarbans National Park tour, is what happens when the sun dips below the horizon. Keeping the fact that these are croc-infested waters out of your mind, simply twinkle your fingers lightly on the surface of the water. Then, marvel at the bioluminescence that dazzles before you. If you glance up to the sky afterwards, you will see the glow of the bioluminescence mirrored in the stars above. On the next day of the tour, you’ll experience even more adventure than the first. 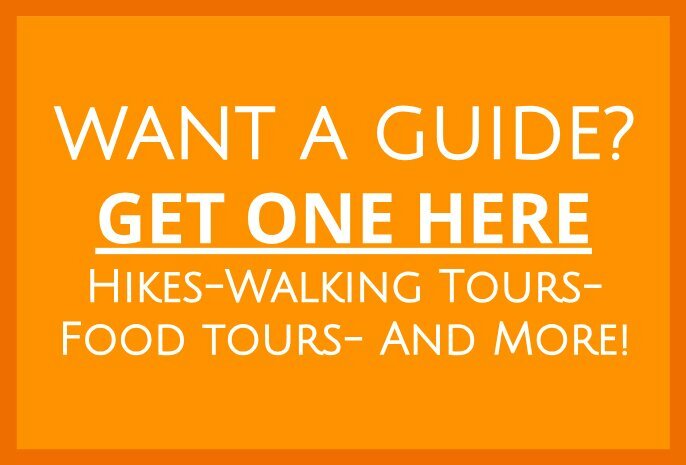 You’ll listen to the local guide who tells you all about the tiger reserve. And, you’ll eagerly await your first sighting of wildlife. 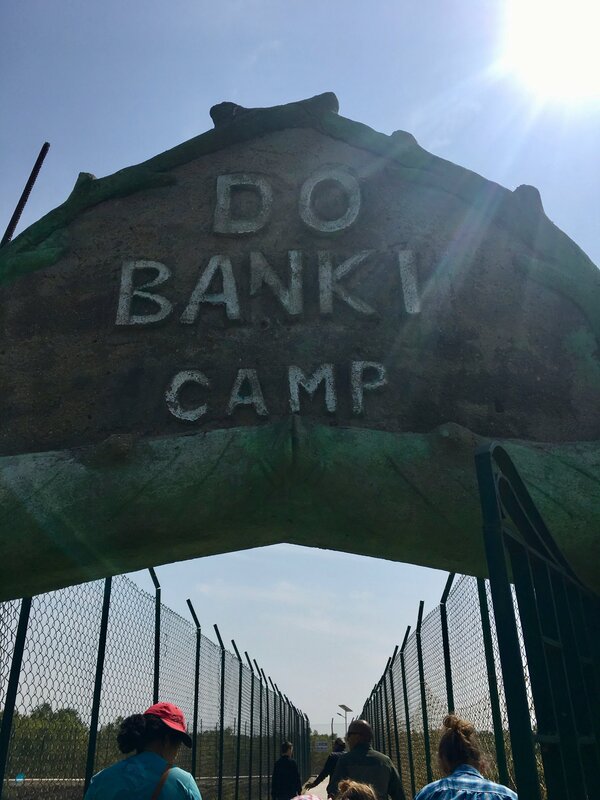 You’ll also visit two camps where you can walk along boardwalks and up watchtowers to try and spot the renowned Royal Bengal Tiger. This day is exhausting yet rewarding! 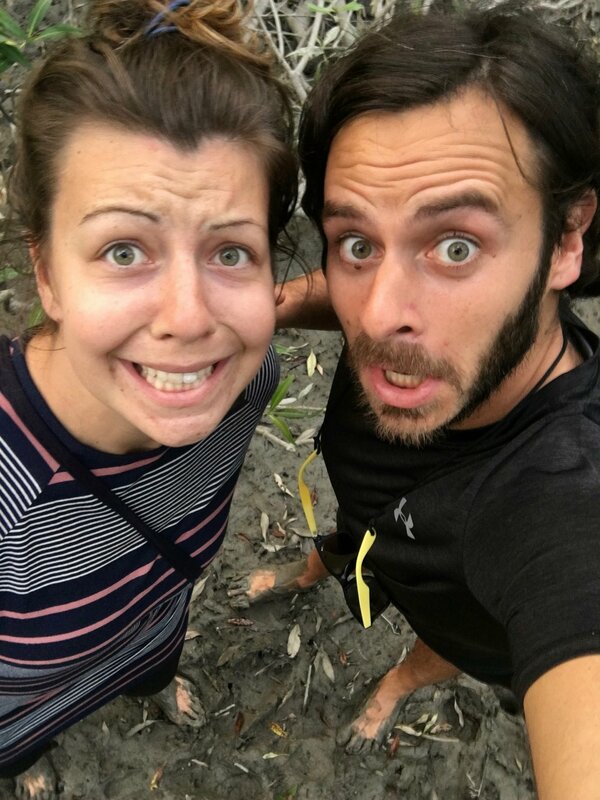 Although we never saw a tiger on the day we went, we saw a plethora of species including saltwater crocodiles, horseshoe crabs, wild boar, spotted deer, monitor lizards, a checkered keelback snake, openbill storks, several varieties of kingfishers, and macaques. 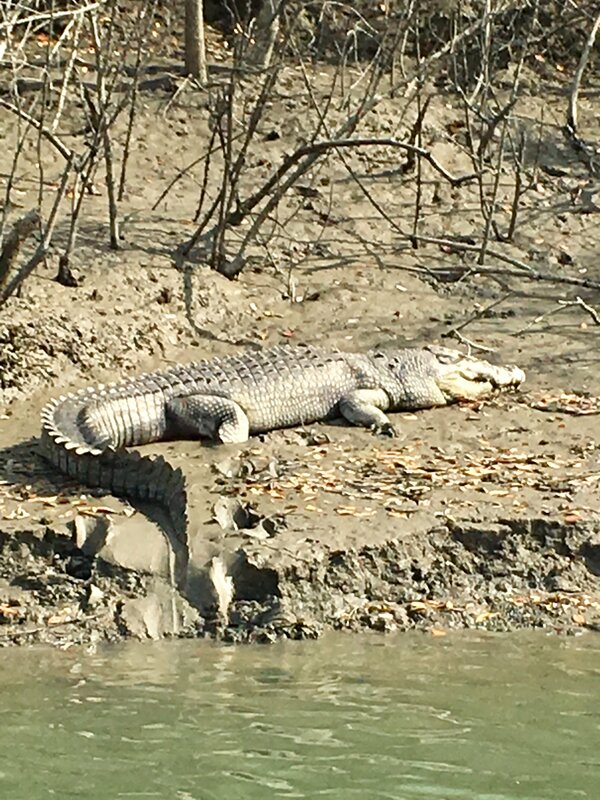 The diversity of wildlife you’ll see on your Sundarbans National Park tour is simply amazing. 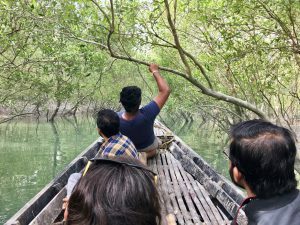 Our tour provider, Tour De Sundarbans was incredibly accommodating. They allowed us to take a second safari boat ride the next day, so we could try our hand at encountering a tiger again. Sadly, we didn’t see a tiger on the second day either. However, we were not regretful. 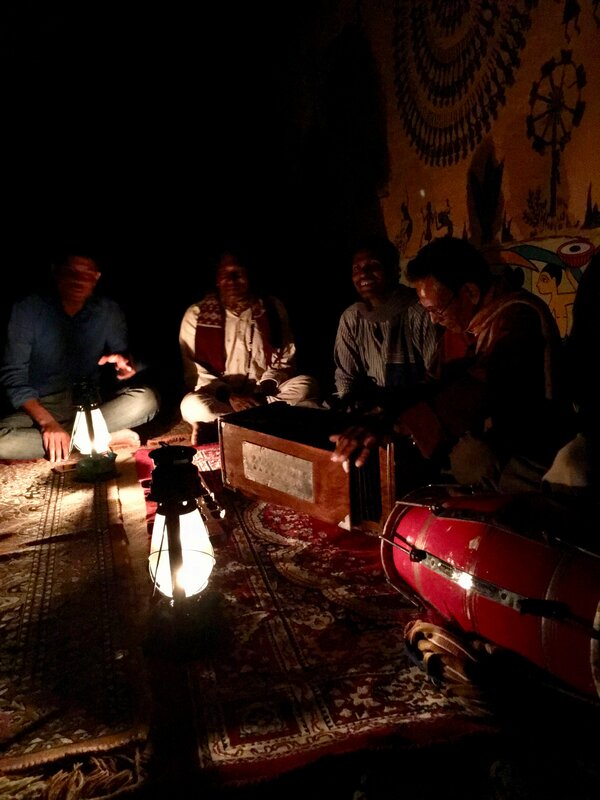 The delicious, freshly cooked Indian food (made right on the boat) and the pleasant company of the guides and other guests was an incredible experience in and of itself! a rain jacket – I use this Marmot raincoat*, and Seth uses this Marmot raincoat (it’s the same as mine, just cut for men). This experience is undeniably exquisite, and it is definitely in our top 5 best places to visit in Asia! 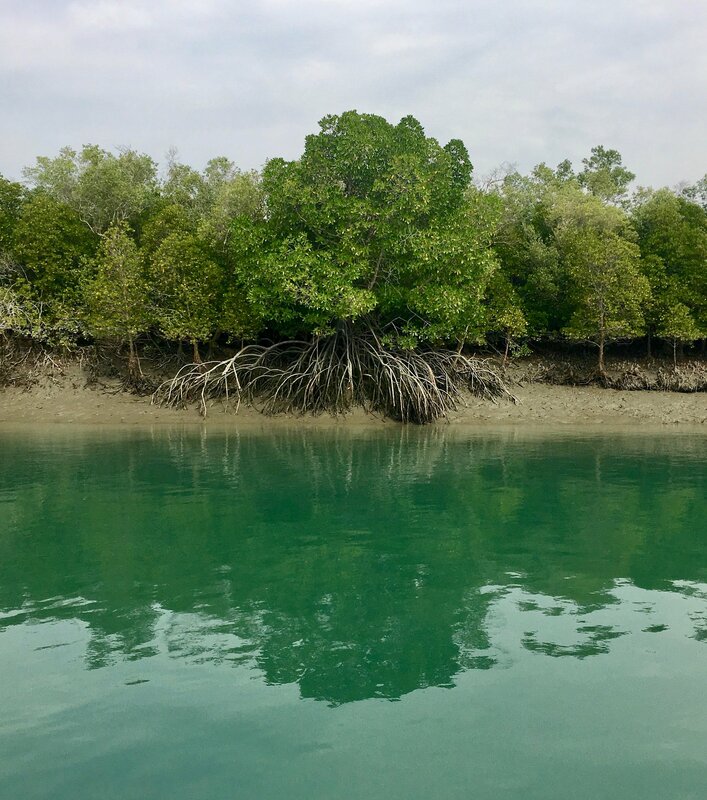 If the thought of visiting a precious, delicate and remote landscape, of potentially seeing the world’s largest wild cat, and of having an off the beaten path experience excites you, plan your Sundarbans National Park tour before it’s too late! 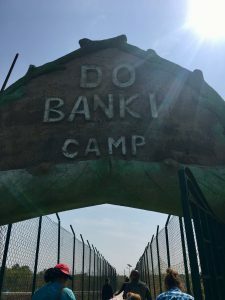 And, if you’re looking for another off the beaten path adventure travel experience, consider backpacking the Via Dinarica Trail in Montenegro, or even going camping in Hong Kong! 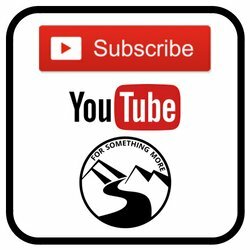 No matter what you do though, leave us a comment below letting us know what you think about all this! Wow! What wonderful worldly adventures you have. You have seen more of the world than I will ever have in my life! Not only do you travel to all of these wonderful amazing places, but you are such a phenomenal writer that I feel as though I am right there with you.